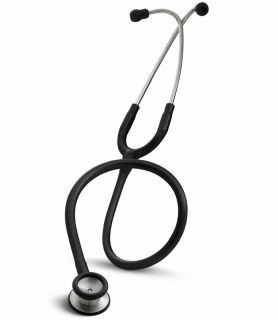 Features:The Classic II Pediatric features a dual frequency, tunable diaphragm that allows the user to listen to both low and high frequency. The diaphragm on one side augments the traditional bell function for the opposite side. Firm pressure allows the user to hear high frequency sounds and light pressure lets them hear low frequency sounds.The specially designed bell and diaphragm chestpiece that is designed, sized and acoustically precise for children.